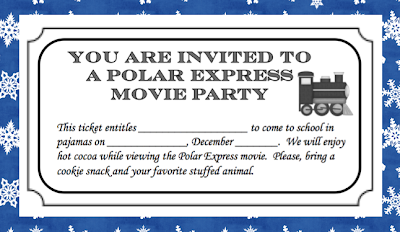 Next week my first graders and I are going to watch the Polar Express in our pajamas while enjoying hot cocoa. I created tickets to invite them to the party and a few other extension activities. Grab this free download by hopping over to my blog. Click on any of the pictures above. Love the ticket! 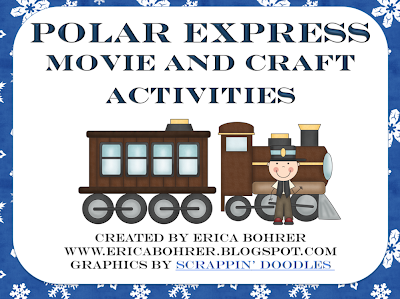 We're having pajama day on Thursday and I am going to make "Polar Express" hot chocolate so your ticket would be a fabulous addition to my little scheme. Unfortunately I got a message saying google couldn't find your ticket. Any suggestions? Looks like fun, but I too keep getting a link that says it doesn't work. Great idea for this week!